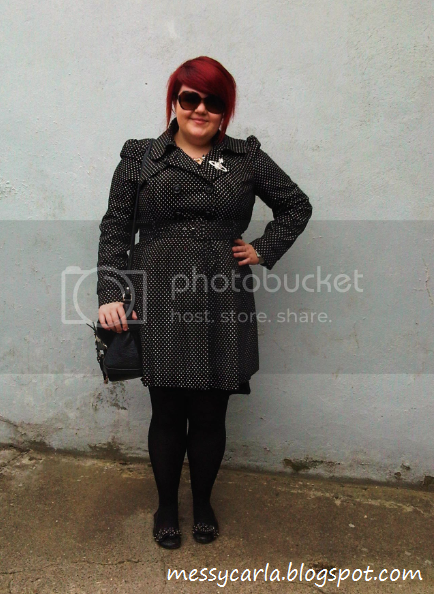 This is my first Outfit Post in aaaaages. Truth be told, I haven't been feeling my most attractive lately. Not because of anything really in particular personally, so I'm going to blame the Autumn. Although I adore the season in so many ways, it also sets off my Seasonal Affective Disorder which is causing me to sleep loads and feel groggy and gross the next day...so I sleep more. POINT OF FASHION: Old school glamour. With my hair pinned back (don't worry, loves - I haven't had it chopped off! ), the double breasted coat and sunnies I did feel like an old movie star. If a movie star was a bit chubby and had silly red hair and an emo fringe, right? Teehee. 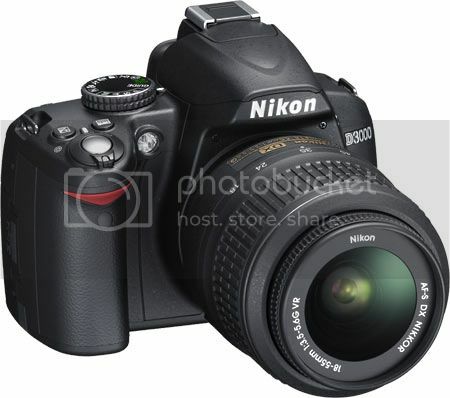 I finally picked out a Nikkon d3000 (*is showered in boos and hisses from Team Canon*) which is lovely and should be delivered today or tomorrow. So the photos are going to be - hopefully - a lot better quality from now on. I was supposed to be saving this for Christmas, but since the screen on my compact camera broke I had to bring this forward. So bearing this in mind, my parents are paying half, and I'm paying half! Also if I'm perfectly honest - I don't really know what I'm doing with a DSLR. It was such a relief to get back to the TV Studio cameras, radio flash microphones and editing suites! I'm such a digital-age child, I blame my excessive internet use from the tender age of 12. But yeah, it should be fun to try and get the hang of. NOTE: Gahhhh this post wasn't finished, but I must have sent it to publish by mistake! I love that look, & I am very jealous of your hair! It looks amazing! I just got done with a photog class and I learned a lot..... most of what was taught I didn't really pay attention to b/c it involved math though lol... but what I did learn was that a lot of photos on flickr and such have the shutter speed, aperture, etc posted on the page of the picture. That helps a lot b/c you can see what the settings look like and try to use it for whatever you're trying to take a photo of. Let us know how the camera works out, I'm in the market for a DSLR and would love to know what you think! Love the coat and the Westwood pin! I'd really love a camera like that to take better photos but I'd feel a bit scared to use it and they're insanely expensive!! Looking forward to the new photos you take with it though. Absolutely LOVE LOVE LOVE that coat it is fab and you look lovely in it! Gem: Haha yeah I've just had it on auto all day, shame it had to be so overcast though. Boooo! Vintage and Cake: Hehe I didn't say that, it was somebody else retweeting. I'm a bit on the fence - for me it completely depends on context and content!